The Uprooted Rose in Cahuita National Park in Costa Rica. Traveling makes the world a better place. This blanket statement is one of the most common things I hear while traveling abroad, but is there any truth behind it? We often talk about how traveling can be a cosmic force of good: breaking down social barriers, connecting people from opposite ends of the world, and teaching important values through life experiences. Despite these positive characteristics commonly attributed to traveling, we tend to overlook the negative impact of traveling on the environment. Scientists and activists alike are speaking out about the detrimental repercussions of long distance travel on our planet. Tourism can result in horrific practices such as the privatization of nature, exploitation of wildlife, and massive amounts of airplane fuel being burned into the atmosphere every year. As an avid environmentalist and explorer, I find these truthful accusations alarming. You may feel the same way. Balancing the preservation of the earth with our desire to travel is difficult, but not impossible. Below are five easy ways to significantly reduce your carbon footprint during your next vacation. Popular with locals and tourists, these colorfully decorated buses transport goods and people acoss Latin American countries. It’s no secret that flights have major environmental consequences for air pollution. In fact, global passenger air travel accounts for 2.5% of fuel combustion related carbon dioxide emissions. If that percentage seems like a drop in the bucket, it’s not - it’s equal to the emissions created by Germany in an entire year. The hidden cost of flying is becoming clear as recent data generally shows that planes pollute at inordinately high levels. Airplanes operate on petroleum fuel, which means they release huge amounts of carbon dioxide. For example, a round trip flight from New York to Los Angeles generates 20% of the greenhouse gases the average car emits in an entire year. Combine the environmental impact of flying with the tendency of the globally privileged to fly to multiple remote destinations in a year, a concept known as “binge flying”, and world travel starts to look controversial from a climate change standpoint. So what can you do? Since not flying isn’t a practical solution for most of us, try taking non-stop flights whenever possible. Non-stop flights are exponentially better for the environment. Not only do you fly fewer miles, but you also save the carbon emitted during take off and landing. Scientists say as much as 25% of carbon emissions from flying are produced during takeoff and landing, so you can feel good about booking a non-stop flight. Traveling the world vegetarian or vegan isn't that hard. I always travel vegetarian (or full vegan if I am in a place with lots of plant-based options) and I have eaten like a queen on my world travels... just look at these delicious dishes! 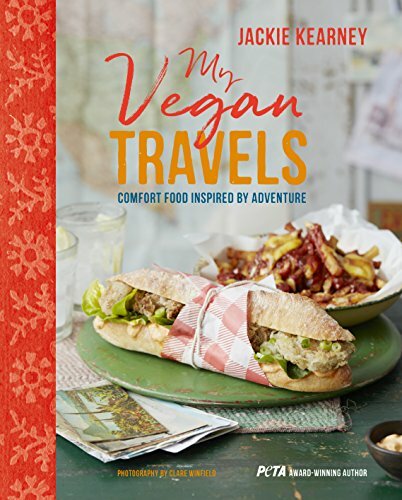 Check out our vegan recipes from around the world! This probably isn’t the first time you’ve been told the beef industry has crippling effects on the environment. We aren’t asking you to give up beef, just not to over indulge on vacation. As global pressure to curb climate change increases, we have learned more about the nasty truth behind the beef industry. The Environmental Working Group (EWG) found, after analyzing the production and distribution of 20 common agricultural products, that red meat such as lamb and beef is responsible for releasing 10 to 40 times more greenhouse gases than vegetables and grains. The facts about mass beef production are mind boggling: studies show that raising cattle for food is the primary cause of deforestation in the Amazon - it accounts for nearly 60% of all deforestation in the region. Hectares of forested land are being cleared to raise soy for cattle and make room for grazing every day as the modern beef industry continues to fuel desertification, erode soil, contaminate groundwater, and emit greenhouse gases. The solution is simple: eat less beef and eat better beef. When you do choose to eat beef, make the extra effort to find grass fed or pasture raised beef which is far more sustainable than soy or corn fed beef. Every kilo counts when flying. 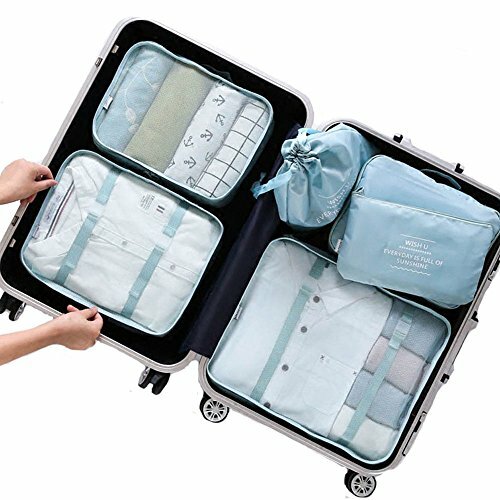 Not only will your vacation be more enjoyable with less crap to lug around, but packing light also reduces the amount of carbon emitted during your flight. Every pound of weight that a plane carries increases the amount of fuel it has to burn in flight, so packing less actually reduces your flight’s environmental impact. In order to accommodate for excess weight on flights, airplanes carry more fuel than will be used in flight; if everyone brings less with them, less fuel is burned in flight. An airline’s operating cost increases $0.33 with every laptop and $0.06 cents with every pillow brought on board. Pack only what you need, and the environment as well as the airline companies will thank you. As a rule of thumb, I only carry hand luggage when travelling no matter how long my trip is. This way I don't have to spend time and money on checking a bag, and I can be in control of my luggage at all times. Remember, packing less means your plane will fly more efficiently. You can also decrease your carbon footprint by replacing some of the wasteful toiletries in your suitcase with sustainable ones - visit the EcoTravel store to find eco-friendly products. Don't be afraid to try local beers on your trip. I spent part of my summer traveling through Laos and discovered locally brewed Lao Beer! It’s a simple concept: the less your food travels, the less environmental impact it has. This also holds true for your liquor. The concept known as “food miles”, the distance from where you consumables are produced to the place where it will be sold to the consumer, compares carbon emissions of local products to imported ones. Imported products rack up “food miles” since shipments are made hundreds of thousands of miles from where the product will actually be consumed. Switching to local liquor on your vacation is a simple way to dramatically cut down on food miles, strengthen the local economy, and experiment with local brands. If you're like me, then you consume more beer than water on vacation. I know it can be hard to stay away from your favorite beers, but try something new while traveling. Be adventurous! Drink a locally brewed beer and who knows, you might fall in love. But even more importantly, your liquor will have a lower carbon footprint by cutting down on transportation emissions. As consumerism flourishes in the modern era, imported products are sometimes marked with lower prices than local ones, despite using more resources in production and transportation, because companies know consumers want a familiar brand. In order to change this environmentally unfriendly pattern, you may have to try something new on your next trip. Remember: think globally, drink locally! This not only cuts down on gas usage and saves money, it also gives you a great new way to see a city besides sitting in the back of a car or taxi. It is always an adventure to use public transport in an unfamiliar city! Most tourists plan what sites they want to see before their trip, but few plan how they will get around once they arrive. You could take a taxi, hop on a tour bus, or rent a car, but more often than not, the best way to get around is by copying the locals and taking public transportation. The availability of public transit varies from place to place, but you can almost always count on some sort of bus system, train, tram, or car sharing (colectivos) in the city you are in. In some cities/countries, the public transport might even be run by local people instead of the government. For example, in Nicaragua and across central america, people travel by “chicken bus”, which are retired school buses with set routes run by locals. By taking public transport you will experience your destination like a local, save money on rides, and support the local transit system, encouraging sustainable cities wherever you travel. For more tips on ecotourism and sustainable travel, check out our other post featuring 36 Tips on Traveling Green.